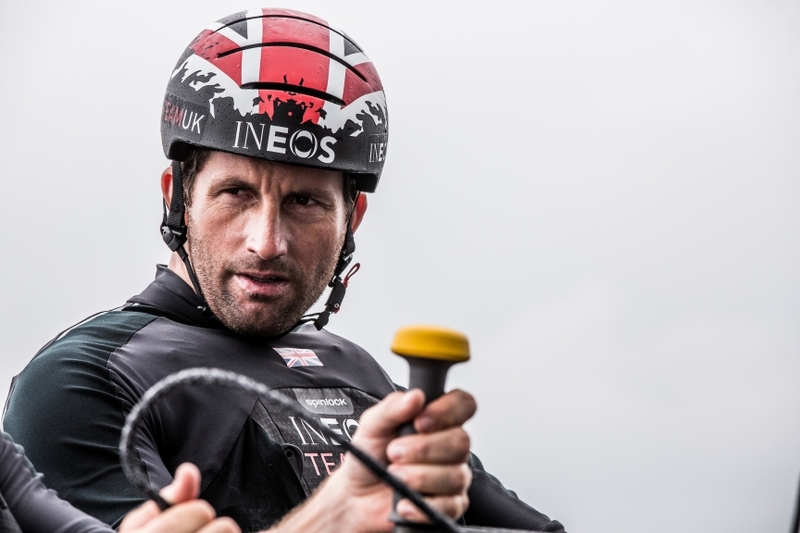 Ben Ainslie is the Team Principal and Skipper of INEOS TEAM UK. He is also the most successful Olympic sailor in history, with four golds and one silver medal, gained in a 16-year span from 1996 to 2012. The following year he added the America’s Cup to the list, with victory in the 34th edition in the most remarkable of comebacks. Emirates Team New Zealand were five points up against the Americans when Ainslie was substituted onboard Oracle Team USA. The score dropped to 8-1 before the comeback to end all comebacks began. OTUSA won eight straight races to defend and hold the 34th America’s Cup. The sense that this had created a unique opportunity was very powerful. The comeback had been covered by every news outlet, whether sports or mainstream. When combined with all those Olympic medals, it had made Ainslie’s visibility so great that no door in the land was closed to him. Suddenly, anything was possible. It was a perfect storm of opportunity, the man with the ambition and the talent to bring the Cup home, now had the A-list celebrity status needed to find the financial support and resource that a competitive America’s Cup challenge required. The professional and financial risks were still immense. 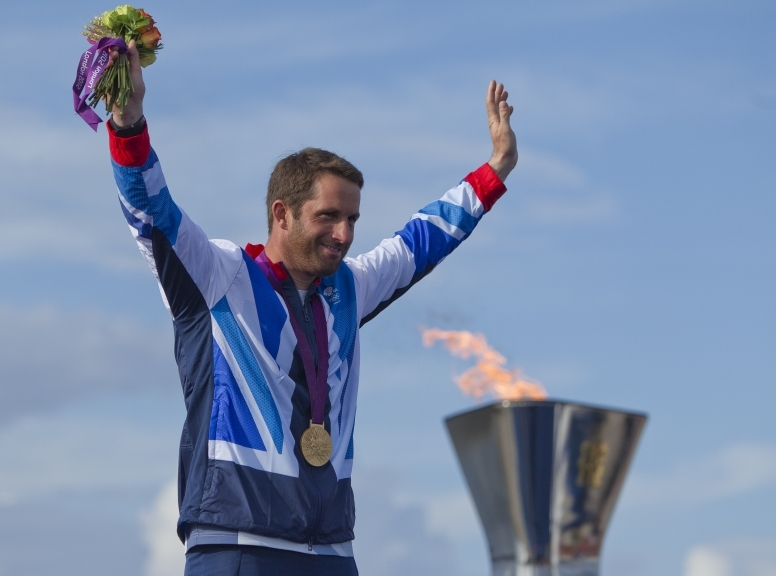 Ainslie was the hottest property in professional sailing. He had many options within the sport and could name his price, but he took on the immense challenge of starting his own America’s Cup team to campaign for the 35th America’s Cup. Ben Ainslie began sailing because it was in the family; his father, Roddy Ainslie had skippered a boat in the first ever, crewed round the world race in 1972. They had moved to Cornwall after Roddy had sold up the family business in Cheshire— Ben was almost eight — and moved into their dream home; a former fisherman’s cottage by Restronguet Creek, not far from Falmouth. 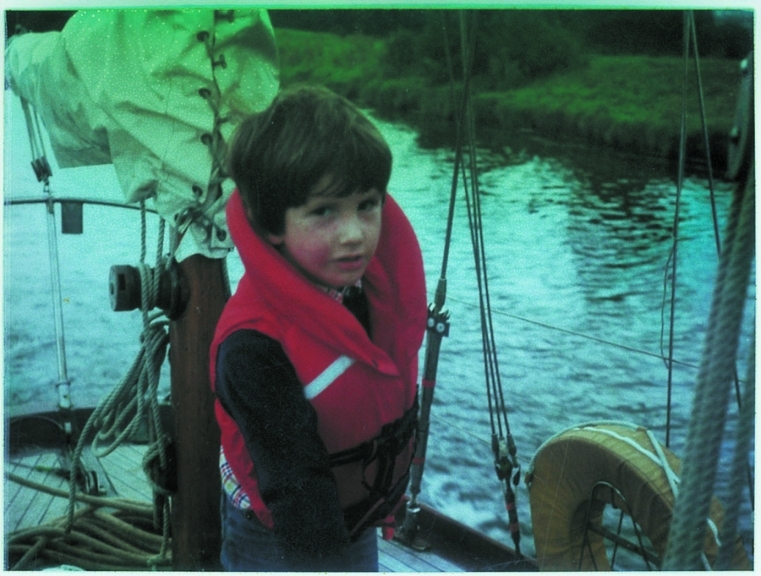 Living so close to the water and with Roddy for a father, Ainslie junior’s interest in sailing was probably inevitable, but it was kicked into high gear one winter morning when he got a little Optimist dinghy for Christmas. The Optimist is a children’s trainer (think the marine equivalent of a go-cart) that has introduced millions of children all over the planet to sailing. It’s no surprise that having survived that test on some innate ability alone, Ben progressed quickly. The local club was Restronguet Sailing Club, a modest single-storey affair with grassy terraces that led down to a shingle beach. It was an old school, family club with a strong tradition in breeding sailing champions. It had a great junior programme and early mentors included Dr Phil Slater and his wife, Jill, and Eddie Shelton, the father of Jamie, a friend of Ben’s. The dream to win gold comes to every boy or girl that grows up obsessed by an Olympic sport, and Ben was no different. The dream to win the America’s Cup needed a bit more of a nudge. It came one summer afternoon when Eddie Shelton took the boys out for a spin around Falmouth Harbour in his motor boat. It was 1987 and following a spectacular contest earlier that year, Cup fever was running hot amongst the sailing community in Britain. There was talk of three teams coming out of the old country. One of them was owned by entrepreneur Peter de Savary — who had run an impressive first campaign for the 25th America’s Cup in 1983. De Savary’s new Blue Arrow team had their base in Falmouth, and they were out sailing ahead of their next challenge. 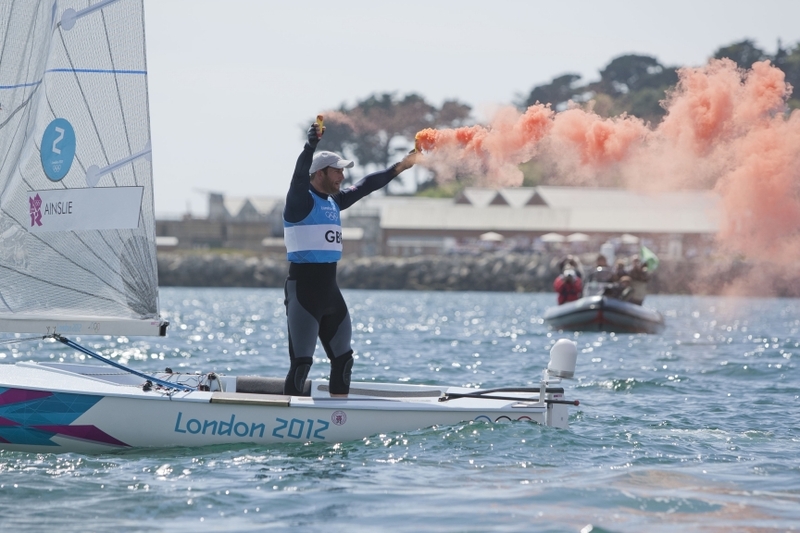 The Blue Arrow boats sowed the seed; after winning Olympic gold Ainslie would dream of bringing the Cup home to Britain. No one could imagine back then that winning Olympic gold would eventually mean surpassing Paul Elvstrom’s fifty two year old record to become the most decorated sailing Olympic champion. A silver medal in Atlanta in 1996 at the age of 19 was followed up with four consecutive gold medal performances at Sydney, Athens, Beijing and finally on home waters at Weymouth in 2012. Less well known, particularly outside sailing circles, is that Ainslie had run his America’s Cup career in parallel to the Olympic sailing. It had started when he joined the One World Challenge after winning gold at the Sydney Olympics, enticed into what had looked on paper like a dream team - top designers, Cup-winning sailors from the previous winner (Team New Zealand) and a billionaire backer. It didn’t work out quite like that, financial security disappeared with the dot.com bust and while the team eventually finished third in the series to find a Challenger, Ainslie had already left a year previously to return to Olympic sailing and the Finn in which he made history. 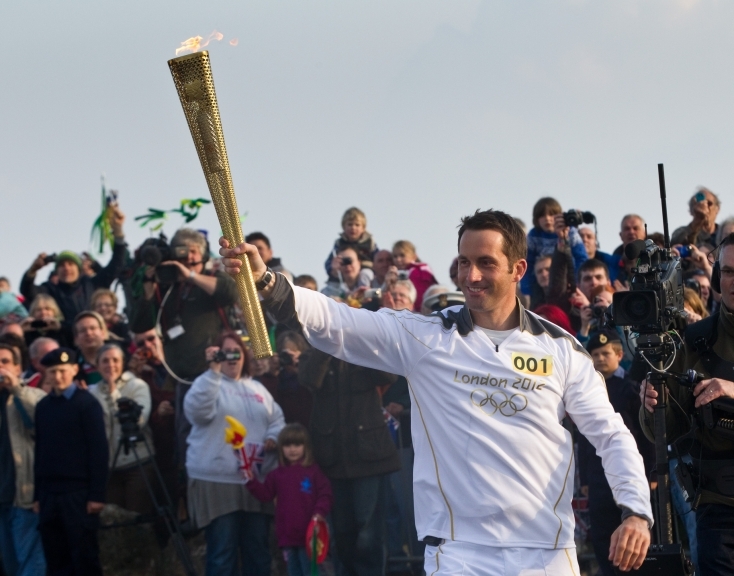 Ainslie’s next foray into the America’s Cup was with Team New Zealand, when he joined right after the Athens Olympics. He ended up steering on the testing or ‘B’ boat, trialling against the race or ‘A’ boat, to work up the latter’s performance. It was a great opportunity to learn the role of helmsman and skipper, but it meant that he would watch the final racing from the sidelines — frustrating for someone as competitive as Ben Ainslie. Especially when the 32nd America’s Cup in 2007 turned out to be one of the best ever. It was in the golden glow of that America’s Cup that Sir Keith Mills started Team Origin. 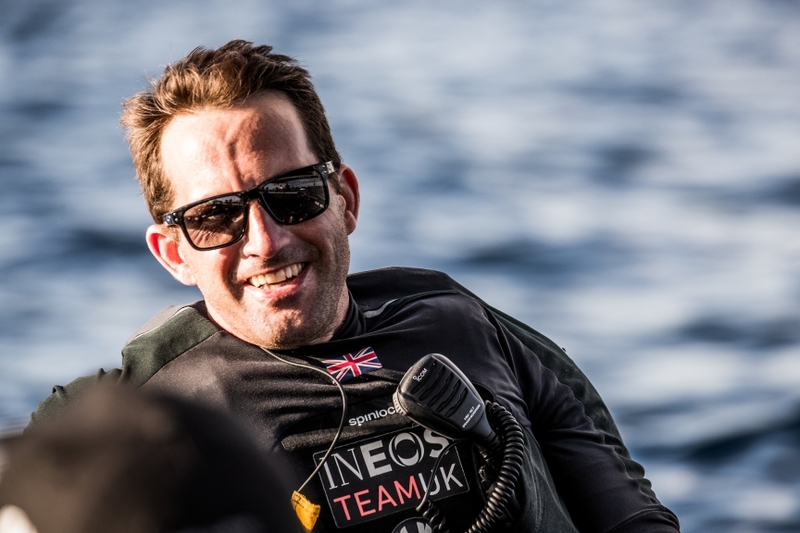 Ben Ainslie signed as skipper and a strong team gathered around him only for the whole operation to be derailed by the Cup’s hiatus in the New York courts, the 2010 Deed of Gift match and the subsequent change to huge multihulls for the 34th America’s Cup. It was a series of events that ultimately resulted in Sir Keith Mills pulling out. 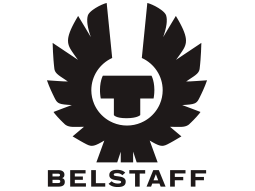 In 2011, Ben launched his own British team, ‘Ben Ainslie Racing’ (BAR) the team competed in the 2012/ 2013 America’s Cup World Series, with the long-term goal of campaigning for the 35th America’s Cup. 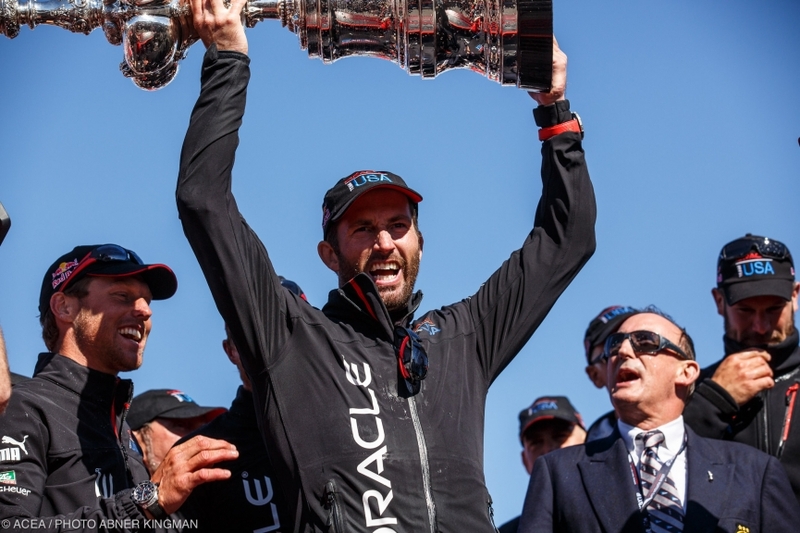 In the summer of 2013, he went on to join ORACLE TEAM USA on-board for their defence of the 34th Cup, helping the American team win the event, becoming the first Briton, for 110 years, to be part of a winning Cup team. 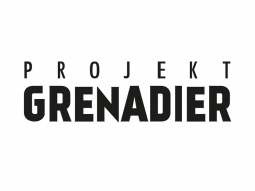 A few months later, the British team set about securing the funding to get the Challenge of the ground. 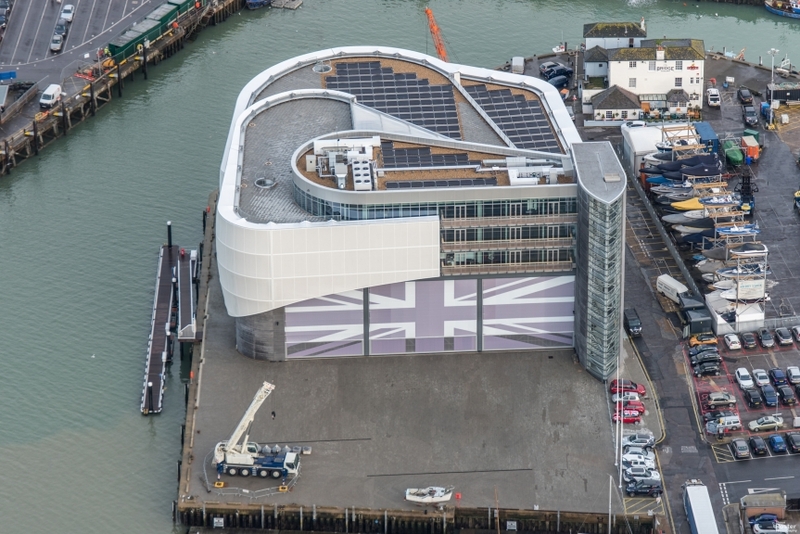 18 months later, in June 2015, the team moved into their purpose-built waterfront HQ in Old Portsmouth. During the campaign, the team also initiated the launch of their own official charity, the 1851 Trust, which set out to encourage young people from a wide demographic to experience sailing and provide opportunities for them in the sport, particularly through the STEM subjects of science, technology, engineering and maths. Out of nine events of the 2015/16 World Series, the team were only off the podium twice, recording four event wins; two in Portsmouth, Oman and Fukuoka. They went on to take the overall series win, which allowed them to take two vital bonus points into the next round of the competition, the America’s Cup Qualifiers; the preluding series to the 35th America’s Cup in Bermuda. In the summer of 2017, the British team made it through to the semi-finals of the Cup, where they were knocked out by the eventual winners, Emirates Team New Zealand 5-2. However, the youth Academy team had success, taking the Red Bull Youth America’s Cup back home to Portsmouth. 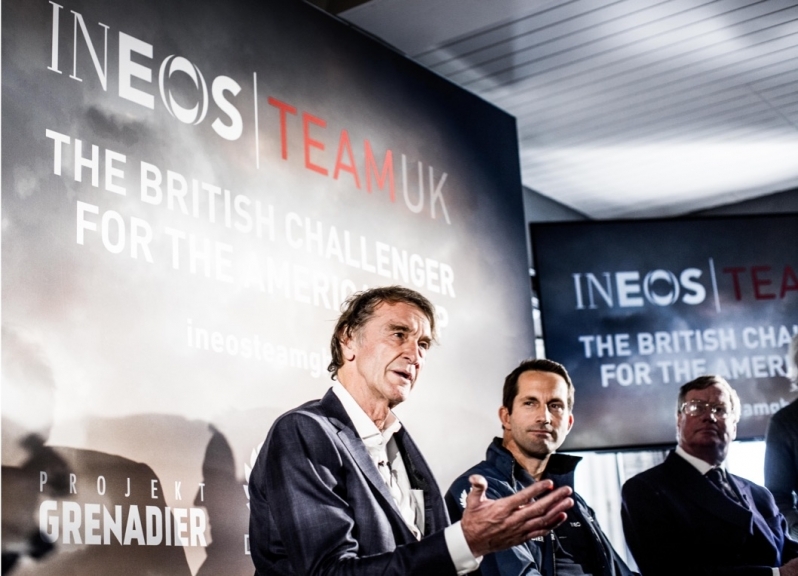 In 2018, Ben was introduced to Sir Jim Ratcliffe, the Founder and Chairman of INEOS through a mutual friend and a new British Challenger, INEOS TEAM UK, was launched to campaign for the 36th America’s Cup in Auckland, in 2021. Ben retained his role as Team Principal and Skipper. ‘The challenge for all of us at INEOS TEAM UK now is about designing the fastest boat possible. You are always looking for ways you can push the boat even faster and that means designing and building a boat to the limit of what is possible. The AC75 is a completely new class of boat, a 75-foot single hull with twin foils, it’s unlike anything we have ever seen before.